How Can Websites Benefit From Responsive Web Design? 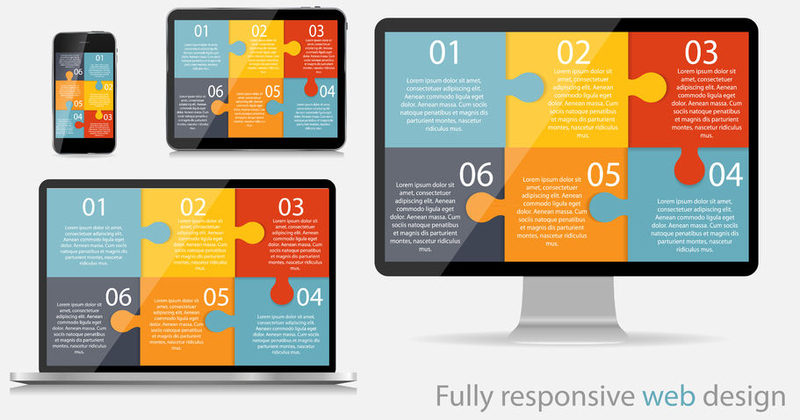 How Can Websites Benefit From Responsive Design? Let’s face it the future is mobile. We are a society that desires immediate information and we turn to the nearest device to get it, which are often our mobile devices. Tablets and smartphones are gaining market share quickly since they have become the preferred tool to search for information, communicate with others and pass the time. Google Research conducted a multi-screen study and found that consumers use multiple devices to achieve their goals. In fact, this has become the norm. For this reason alone, it is imperative for businesses to react to this change, meaning that businesses must ensure that their website is compatible with all devices. Doing so will improve customer experience on the web. It would be a shame to lose customers due to the inconvenient design and time consuming navigation of a site. Responsive web design is utilized in a site when the complete layout and content adapts to the users environment, which includes screen size, platform and orientation. The page is reformatted depending on the size of the device used, and ensures that all content and images on a particular site is fluid and can be seen no matter the device used; desktop, tablet or mobile phone. The term responsive web design was introduced in 2010 by Ethan Marcotte, a web designer and developer. Marcotte wrote an article in A List Apart sharing the need for a responsive site due to the rise in mobile use. In the article he shared his theories on responsive web design and referred to it as the “way forward”. He wanted to treat each mobile device as a facet of the same experience. His main goal was to embed code into designs to make each more flexible and adaptive to each media. Today, Marcotte’s work in responsive web design is a hot topic; one that businesses are encouraged to pay close attention to. Adaptive Images means the viewer’s screen size is automatically detected and your images rescale for optimum viewing. The images are embedded within the HTML and require no extra markup. Retina Images display high-resolution images based on the device. There is a high-resolution version of each image to be used for the optimized retina screens. After you have built your responsive website it’s a good idea to test before going. There are many tools and resources that can help you and ensure your displays properly. They will give you a good indication of how your site will look on the most popular devices. But, of course for the most accurate testing always test on the real devices. What is the best CSS grid layout? What is the difference between responsive and adaptive design? Responsive web design as we said earlier uses media queries to serve different styles in the CSS at different points. Through the use of conditional tags and media queries of the screen size, changing its appearance when viewed on different devices. Adaptive web design uses progressive enhancements as a way to define the set of design methods that focus on the user instead of the browser. Through predefined screen sizes the server detects the device the website is being viewed on. Then, it sends specific files based on the device size. This allows for pages to load faster usually housed on its own domain. Some businesses have chosen to take a different approach. You may have heard of the term mobile sites, otherwise known as m-dot sites. M-dot sites are assigned their own URL and contain different content than its desktop counterparts. Smartphone users are redirected to a different URL that looks similar to the original site. This is common with adaptive design sites, where a separate set of files is loaded. While this approach has worked for many businesses, consumers have complained that m-dot sites lack the same experience as the original site. While it is obvious that many marketers will not recommend this approach, designers will say the same. One of the main challenges is the task of building authority and awareness to each site through multiple redirects. Another issue is that changes, updates and edits must be made separately to each version of the site, which can prove to be time consuming and costly. While it is recommended that businesses invest in a responsive site, some have argued that one of the biggest drawbacks of responsive web design is the increase in page load time. While this may be true, there are some steps to take to ensure that this doesn’t happen to you. Breakpoints, expressed as @media in the CSS defines a set of styles for that resolution and device. There are several major breakpoints to keep in mind. I recommend focusing on these major devices unless your research is informing you of a different audience. How are companies approaching responsive web design for their already-established websites? Investing in a responsive web design site has become more important today and expected to be the norm or expectation of each mobile user. Web developers and marketers will argue that it is an important step to take to increase consumer reach and decrease the number of bounce rates.